A woman who says she worked for U.S. Rep. John Conyers for more than a decade says he slid his hand up her skirt and rubbed her thighs while she was sitting next to him in the front row of a church. Elisa Grubbs made the allegation in an affidavit released late Monday by her attorney, Lisa Bloom. Grubbs is the cousin of another accuser, Marion Brown, who reached a confidential settlement with Conyers over sexual harassment allegations but broke a confidentiality agreement to speak publicly last week. Bloom posted Grubbs’ affidavit on Twitter and confirmed to The Associated Press that it was genuine. The new details of the allegation emerged as Conyers is expected to speak on a Detroit radio show Tuesday morning about his political future, according to his attorney, Arnold Reed. The 88-year-old Democrat is the longest-serving current House member. 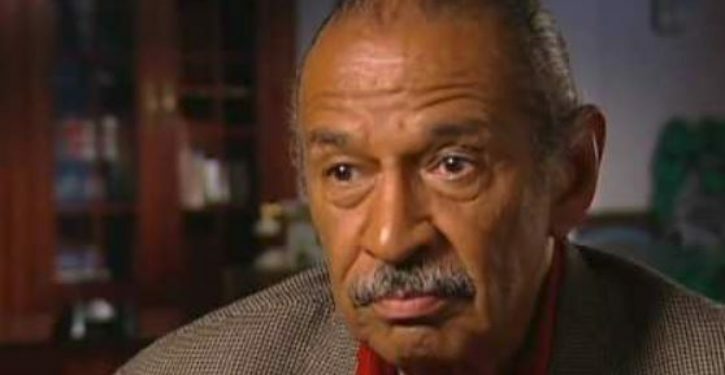 Conyers returned to Detroit from Washington last week and was hospitalized on Wednesday after complaining of feeling light-headed.